Only 4 left in stock - order soon. Sold by BIGFLY and Fulfilled by Amazon. Gift-wrap available. 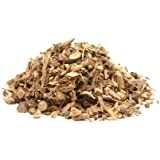 Amazon's Choice for "organic licorice root"
Sold by SportingDoc and ships from Amazon Fulfillment. 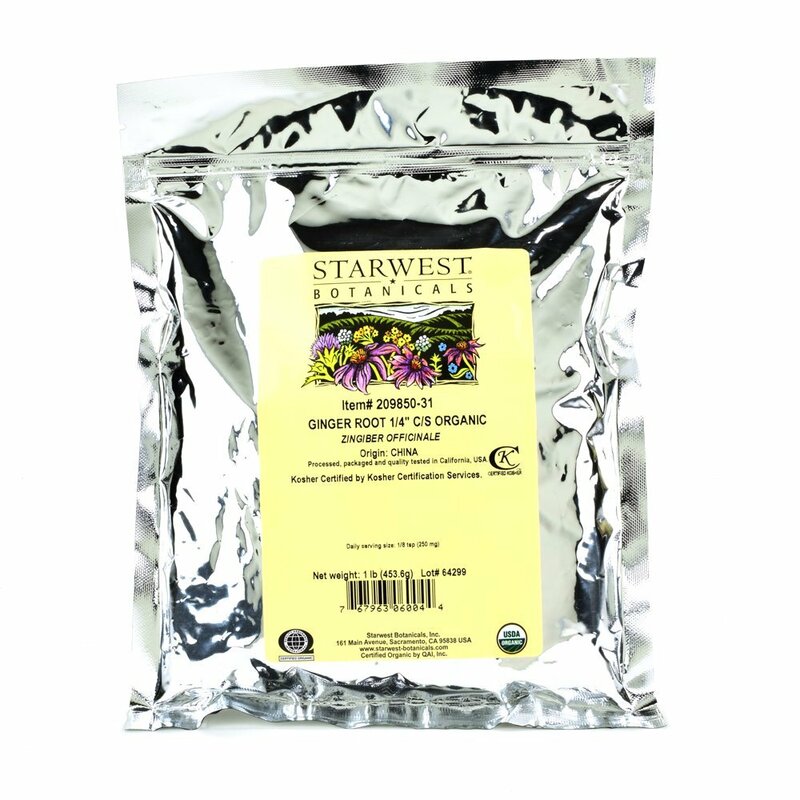 1 lb of Organic Licorice Root Cut & Sifted (C/S), packaged in a resealable mylar bag. Warning: Not to be used during pregnancy. 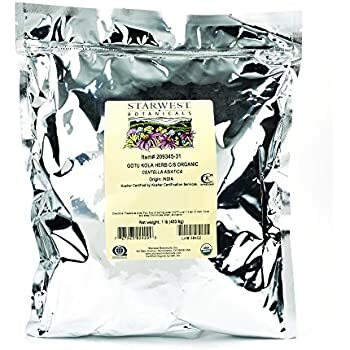 Not for use in persons with hypertension, liver disorders, edema, severe kidney insufficiency, low blood potassium, heart disease with edema, or congestive heart failure. 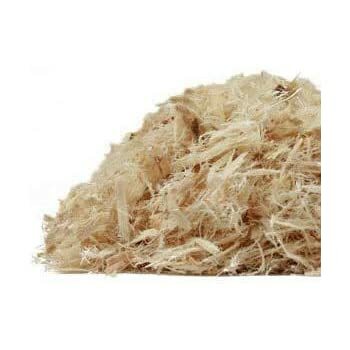 Frontier Natural Products 2540 Frontier Bulk Sarsaparilla Root - Indian, Cut & Sifted, 1 Lbs. 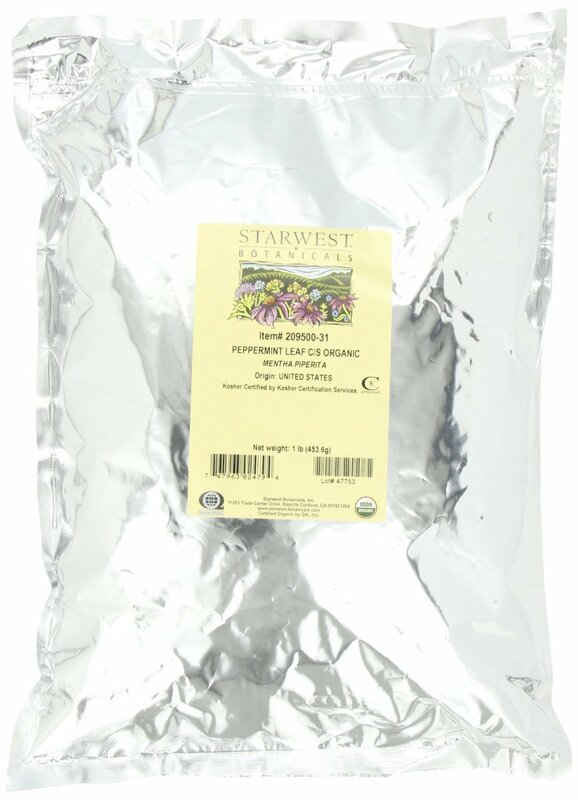 3.0 out of 5 starsIf you plan to use this for tea you will have to sift it again. 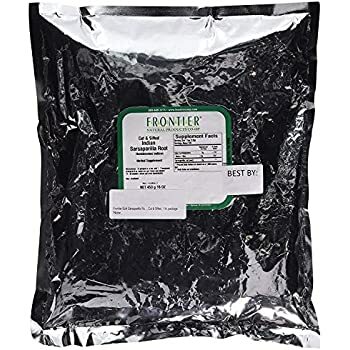 I have ordered 6 pounds of this stuff so far to use in making tea. The first 3 pounds were great, very well sifted and a good consistency. 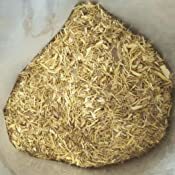 However, the last pound I opened, still have two more, a quarter of it was dust and small particulates that made the tea very gritty and cloudy. 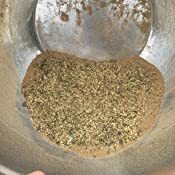 Ended up having to sift it all myself and was able to get most of the powder and particulates out, but there is still a lot left over. We shall see how the next two pounds are, but if they are powdery as well I don't think I will be buying again. 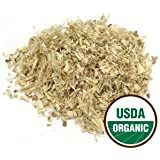 I decided to try this because licorice root is very soothing to the mucous membranes of the digestive tract, helping to support and repair the protective lining of the stomach and intestines, and maintaining the those barriers against excess stomach acid. I also love the taste of licorice. When it arrived, I started out with the idea of chewing a wad of these roots. At first I was not impressed because I had hoped it would taste more like candy licorice. Instead it tasted a bit earthy (in a good way), but little licorice flavor. Then I discovered there is a nice (very mild) after-taste of licorice that lasted quite a while. 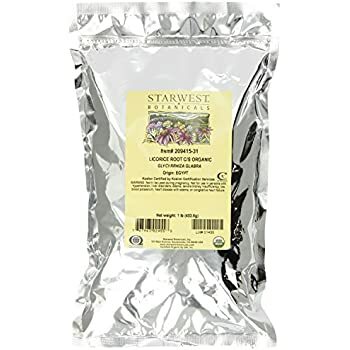 But, what I really love is making licorice tea with it. I have some small cotton bags to use for brewing "loose" tea that I used for this. Again, the flavor was a bit earthy at first, but a wonderfull after-taste of mild licorice that lasts. I got into the habit of refilling the cup with water at room temp and just letting it sit with the bag of roots in it. 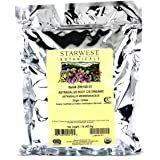 The small bag of roots lasted many days of refills giving me lots of pleasure as I continued sipping at the refills throughout the days. I was beginning to wonder if the roots would ever be drained of flavor, but they were after mayby 10 refills. Also, I did seem to feel like I had a calmer tummy, though that is just a subjective feeling. 1.0 out of 5 starsUPDATE: Unfortunately, now is sourced from South Africa. 12-2018: I just received a new batch of this product and the quality is now TERRIBLE. It WAS a great product from Egypt as described in my original review. Now this product is sourced from SOUTH AFRICA. The quality, texture and taste is really bad. The texture is huge and inconsistent and the taste is stale and/or flavorless. Even the scent of the product is totally off and smells like petroleum and nothing like the beautiful Egypt-sourced licorice scent. In my original review, I said, "Starwest, please don't change the source of this stuff (Egypt) or change anything. It's perfect". Well, they messed-up. ORIGINAL: I'm very happy with the product. 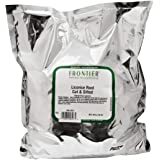 I've been buying the Frontier Licorice root for for the last few years but was never really satisfied with the quality. It always tasted stale and had a dark unusual color. 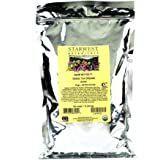 This Starwest brand is more natural in color and tastes amazing, and the grind texture is flaky and airy to the perfect size which would make a perfect tea. And the bags are resealable. 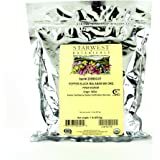 The best licorice root I ever tasted... I've tried a lot of brands both online and in Asian stores.. I'm sorry I didn't switch to Starwest sooner. Starwest, please don't change the source of this stuff (Egypt) or change anything. It's perfect. 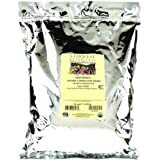 Good quality loose leaf tea, but it’s a bit too sweet for me, so I like to mix it with others. 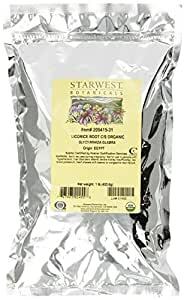 For example, when I’m feeling tired and achy, I mix this with turmeric ginger; when I have PMS, I mix this with rasberry leafs; when I have dyspepsia, I mix this with peppermint leafs... 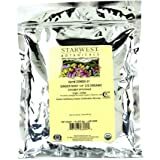 It provides a good base for almost everything and make the herbal tea taste slightly sweet. It does increase blood pressure if I take it too much. I’m limiting myself to no more than 2 cups per day. Delicious! 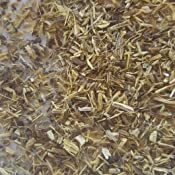 I use licorice root to help sweeten other teas without adding sugar or honey. 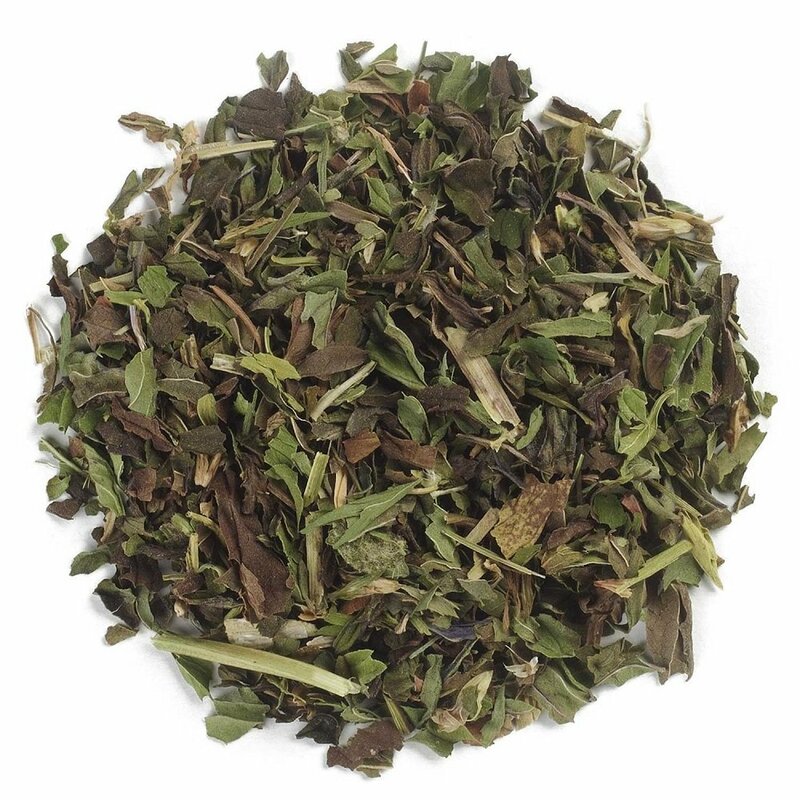 Absolutely delicious steeped with equal amounts of peppermint and licorice tea! 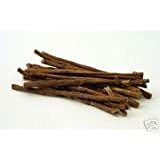 5.0 out of 5 starsExcellent, unprocessed licorice root. 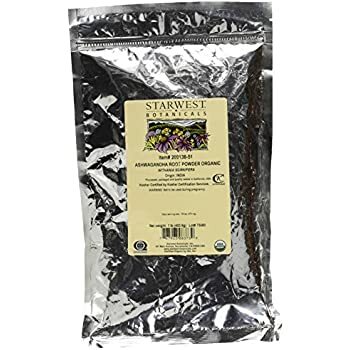 This was excellent licorice root. It was bought to be steeped in hot water. It adds a strong sweetening flavor, though it tends to build on the tongue over time instead of hitting up-front. It's an excellent enhancer if one is trying to reduce how much sugar one adds to drinks. I’m only 54 and had arthritis so bad I can not imagine what I would feel like in a couple more years. Unable to do many things I enjoy I tried conventional medicine which only made me sick. 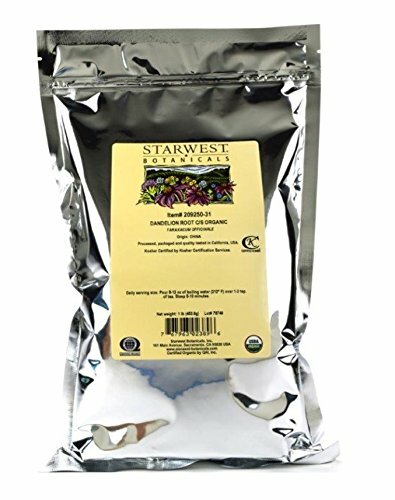 I turned to herbal teas which with in a couple days I started feeling much better, then I received this one. After the second day of taking it I felt like a new person. I’m able to move my body with out pain. Read the warning label first, this tea is not for everyone. 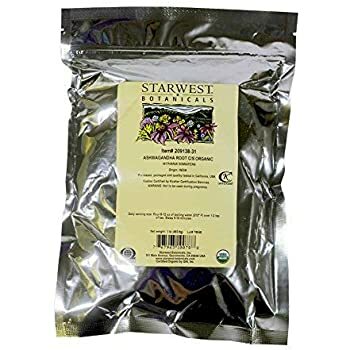 I ordered this tea and the origin was not as advertised.